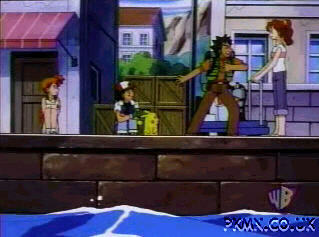 Brock: Buy this young pokemon trainer who doesn't age, and I'll throw in the pikachu free. And that young lady . . . by Extra PKMN Power!